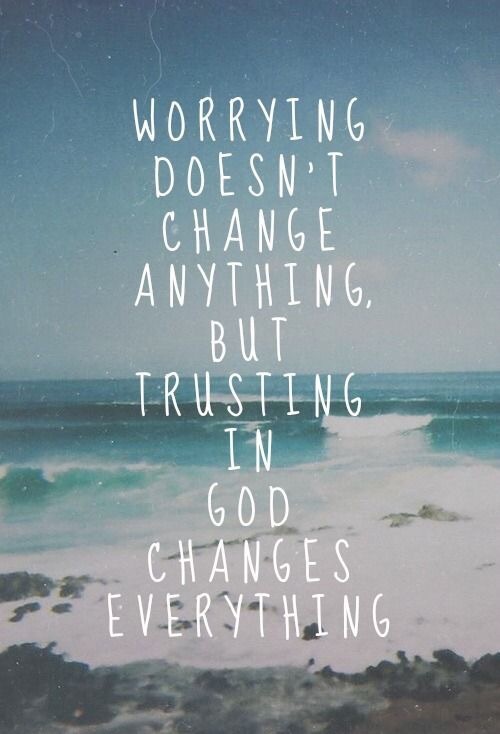 I choose to trust God. I choose to open my eyes to the miracles around me and open my heart to the blessings waiting to be discovered. I choose to fill my heart with worship instead of worry and fill my mind with faith instead of fear. I know it is not easy. When your heart is overwhlemed with anxiety choosing anything feels impossible, but God has given you the ulitimat “DIY” Fear Buster: with thanksgiving. The power of giving thanks can break the mighty grip of fear and shatter the foundation of anxiety. Give thanks for anything then move into everything and keep going. Spend as much time as you need, there is no limit. When you choose thanksgiving, you are choosing joy. Give thanks. Then, when you are done, begin again and re-joice. Rejoice in all the things, all the people and all the blessings you already have as you lay what you need before your faithful Father in Heaven. Got fear? God is near. Give thanks and let God care of the fear.